"The best thing about dreams is that fleeting moment, when you are between asleep and awake, when you don't know the difference between reality and fantasy, when for just that one moment you feel with your entire soul that the dream is reality, and it really happened." Baldwin is talking about that tiny window in time in which the dream world becomes the real world, where the imaginative power of the subconscious merges with the awareness of consciousness to make fantasy seem actual. You get the picture. But it's that moment where you are having the most incredible dream and, when you wake up, you swear that it was real. You put your head back on the pillow and concentrate as hard as possible on falling back into this incredible dream only to realize that the dream is gone. But what if it wasn't? What if during your dream you were able to balance the conscious state with the subconscious state so that you were the master of your dream world? You could go anywhere you wanted to. In fact, such a thing exists. It is called lucid dreaming. "[Lucid dreaming is] the phenomenon by which individuals are conscious of their dream state and may even control the course and scope of their dreams." 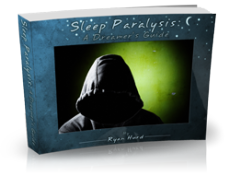 You can read more about what lucid dreaming is here. A lucid dream can occur in two different ways. The first is called a dream-initiated lucid dream (DILD) where, under the pretenses of a normal dream, the dreamer eventually realizes that he or she is dreaming. A lucid dream can also occur as a wake-initiated lucid dream (WILD). Here, the dreamer goes from the waking state (usually after having woken up during the night) straight into a lucid dream with no apparent lapse in consciousness. Regardless of how a lucid dream is brought about, think of the possibilities. While conscious, we are bound by time and space, by the sensory input that guide our expectations of the world, and the laws of physics that shape those expectations. In the dream world these constraints can dissolve so that anything might be accomplished. Yet, under normal circumstances the dreamer is slave to his or her dream and cannot control the content of events or the way in which they unfold. Lucid dreaming, though, links the best of each of these worlds, creating, essentially, what can become a consciousness with no bounds. "Possible functions of lucid dreaming are fulfilling wishes, exploring alternative choices, improving physical skills, and solving problems." Furthermore, research has shown that lucid dreaming benefits those who suffer from nightmares insofar as they are able to recognize that they are, in fact, dreaming during the nightmare. This awareness diminishes the frightening aspects of a given situation. What's more, lucid dreaming is a learnable skill. It seems that anyone who can be aware of his or her dreams with some consistency has the capacity for lucid dreaming, and dream recall is also a trait that can be developed. A NovaDreamer offshoot available on Amazon, called the REM Dreamer. Furthermore, once one can lucid dream, the possibility for increasing the frequency of those lucid dreams exists also. Dr. Stephen LaBerge, founder of the Lucidity Institute, has developed an apparatus known as the "NovaDreamer," a mask that covers the sleeper's eyes with two red light bulbs. 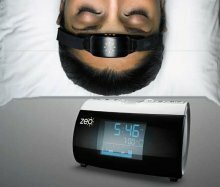 The mask detects the onset of Rapid Eye Movement sleep (the period of sleep in which dreaming occurs), causing the red light bulbs to flash. These visual stimuli can manifest themselves into the dream and aid in making an individual aware that he or she is dreaming, introducing the possibility of a lucid dream. More natural methods for summoning the onset of a lucid dream exist as well, one of these being the notion of reality testing: performing an action when in a dream and verifying whether or not the subsequent results are consistent with those of wakefulness. Like LaBerge's dream light, reality testing enables the dreamer to become aware that he or she is dreaming, and from there the potential to lucid dream is established. By combining the awareness of wakeful consciousness with the boundless world of dreaming, the lucid dreamer can accomplish virtually anything.